Do your teeth make you self conscious when you smile? Do you have crooked or overlapping teeth? Do you try to hide your smile on photgraphs? If you answered 'yes' to any of the above, Invisalign could be the solution to your concerns. 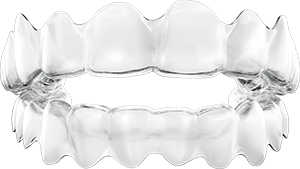 Each tailor made aligner fits snug over your teeth and is changed by you, usually on a weekly basis, to progress the treatment. You wear the aligners for twenty two hours a day, simply remove them at meal times and to brush and floss your teeth. How long Invisalign takes to work its magic depends on what you are trying to achieve. Some clients can be successfully treated in just three months with the average being anywhere between nine and eighteen months. It's important to wear your aligners as instructed for Invisalign to work correctly. Some patients may experience temporary, minor discomfort for a few days when they start using a new aligner. This is normal and is not so much 'painful' but resembles a feeling of pressure. It is a sign that the aligners are working - moving your teeth gradually into their new position. Such feelings of discomfort typically go away after a day or two. Yes. Spaces between teeth are generally easy to close with Invisalign. Now watch these videos for the full picture! Why choose Hudson's Dental Care in Hertford for your Invisalign? A course of Invisalign costs between £1875 and £3750. It all depends on how many sets of aligners you'll need and how long you'll be in treatment for. Only a trained Invisalign dentist can tell you which Invisalign product is right for you and therefore you'll need to see us for an accurate assessment of your smile and treatment cost. Our interest free payment plans are the easy way to pay, subject to status. Book yourself a FREE SMILE ASSESSMENT consultation! If you're interested in Invisalign we will happily offer you, without obligation, a FREE SMILE ASSESSMENT. This is a great way to find out if Invisalign will work for you and for you to ask our dentist about Invisalign treatment.